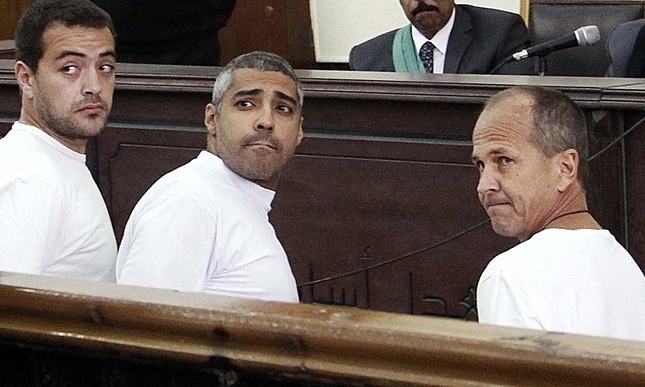 An Egyptian court has recently postponed the verdict to the retrial of the Canadian journalist Mohamed Fahmy and of his two Al Jazeera colleagues, Peter Greste and Baher Mohamed, to August 29. In December 2013,Fahmy, Greste, and Mohamed were arrested and charged with allegedly being involved with the Muslim Brotherhood, a terrorist organization under the Egyptian military dictator Abdel Fattah al-Sisi. In June 2014, all three were convicted and sentenced to prison in Egypt, a common practice against journalists and political opponents of the Sisi regime. They have since been retried. CKUT’s Emma Noradounkian brings you a report with a member of the Egyptian Canadian Coalition for Democracy (ECCD), Mohamed Kamel, who shared his thoughts on the future of these journalists and of that of Egypt as a whole under Sisi. The interview was conducted in French. Black Lives Matter – Toronto coalition made a ‘day of action’ to seek justice and call end to justice brutality. 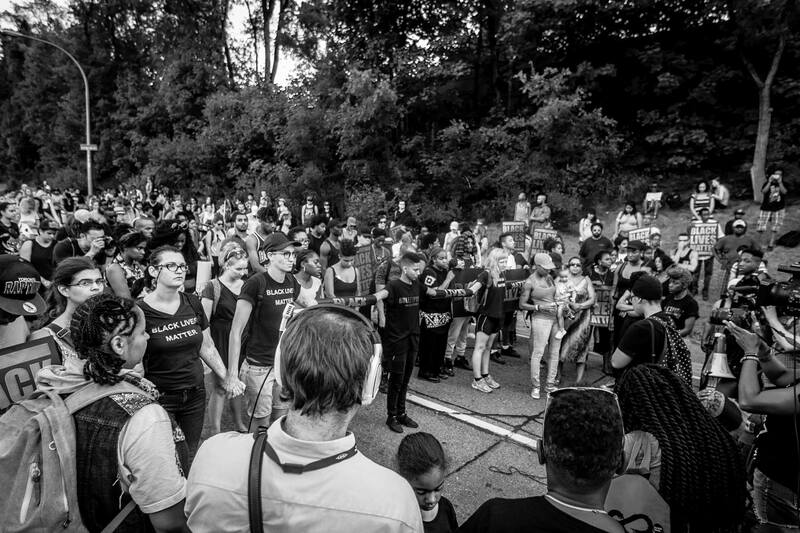 On Monday 27 July, the Black Lives Matter Toronto coalition held a “day of action”. The goal: call for an end to police brutality and to seek justice after the death of two black men – Jermaine Carby was shot at a traffic stop and Andrew Loky was killed in an apartment building- in the past year. Desmond Cole, a black Toronto writer and activist, says: “This is not about people inconvenienced for one night in the highway. It’s about almost 30 years of police brutality against one community. That’s how people should view this”. Alexandria Williams is one of the co-fondators of the Black Lives Matters Toronto coalition. We asked her about the action, and the coalition and its motivations. We are used to thinking about health care corresponding to Western medical treatment standards. What about all those Aboriginal communities in multi-ethnic Canada that do things the other way, how do they get treated by medical institutions? Very often other approaches to health treatment is perceived skeptically by mainstream medical institutions and there are no alternatives offered to patients wishing to be treated in other ways. CKUT’s Kateryna Gordiychuk talked with James Carpenter, a traditional healer in Anishnawbe Health Center located in Toronto. 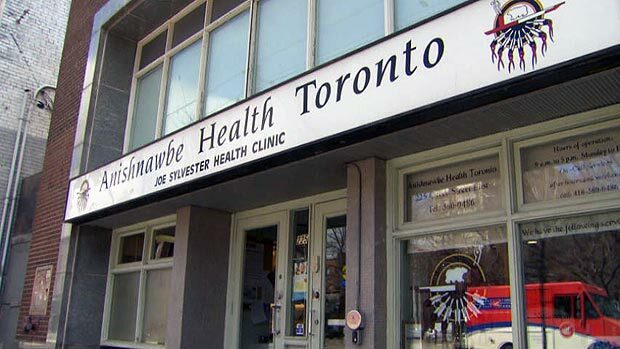 The Anishnawbe Health Toronto is a network of medical institutions that promotes “the model of health care [which] is based on traditional practices and approaches and are reflected in the design of its programs and services”. The center’s values are built around the concept of “cultural sensitivity” and “cultural safety”, which helps the center to [honor and respect the hopes and dreams of those who first envisioned a healing center for the Aboriginal Community of Toronto”. “Anishnawbe Health mission is to improve the health of Aboriginal population in mind, body, spirit [and] emotion, by providing traditional healing within a multidisciplinary healthcare model”. James provided CKUT with detailed explanations of why the center’s job is important and what kind of services it offers. He also remarked that Anishnawbe Health Toronto pays attention to a variety of social, family, economic and historic factors that influence the well-being of its patients, in addition to medical and biological symptoms present. In this way, the center recognizes the importance of cultural background of those that are treated and expresses cultural sensitivity towards the issues at hand. 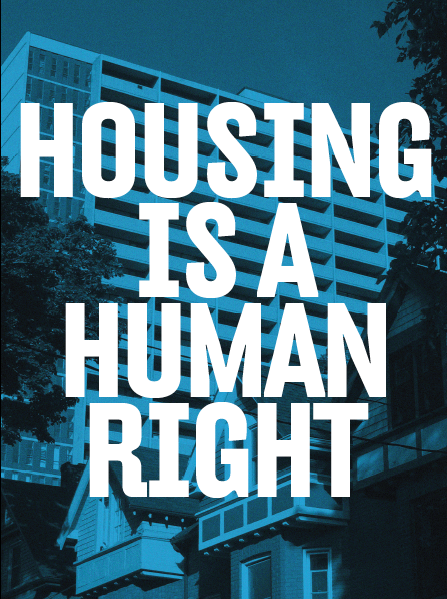 On the eve of July 1st, the Moving Day, CKUT Community News Collective got to renew a tradition of holding a Housing Panel on June 30th to inform our listeners about their housing rights as tenants and answer some of the pressing questions. Anouk Millet, Aaron Maiden and Sheila Ferrando along with Emma Noradounkian, who helped with topics research, sat down with Emilie Joly of FRAPRU, Alexandra Pierre of Project Genesis and Fred Burrill of POPIR to discuss the housing questions that are always asked, but the answers to which are hardly known by many. Did you know about this right? If it’s your move-in day and there are obvious problems with your apartment, you can “refuse to take a position at a dwelling”. Take pictures to prove it! The panel consisted of roughly three categories such as basic rights, Régie du logement, rights in application and campaigns as well as activism. Kateryna Gordiychuk was live tweeting to get the word out for those who couldn’t listen, and to get radio-lovers and housing rights enthusiasts to participate. “Your lease renews automatically. Under no circumstances you have to leave your apartment. [… Moreover], the landlord is responsible for the temperature of your apartment”. Montreal’s winter doesn’t seem so scary now, huh? The housing panel was not only an informative information session for everyone interested, but also a great way for CKUT News Collective to discover a potential for live-panels and in-call questions. Read our tweets posted during the live panel HERE. We thank everyone who made the panel possible and special thanks is to our knowledgable guests! 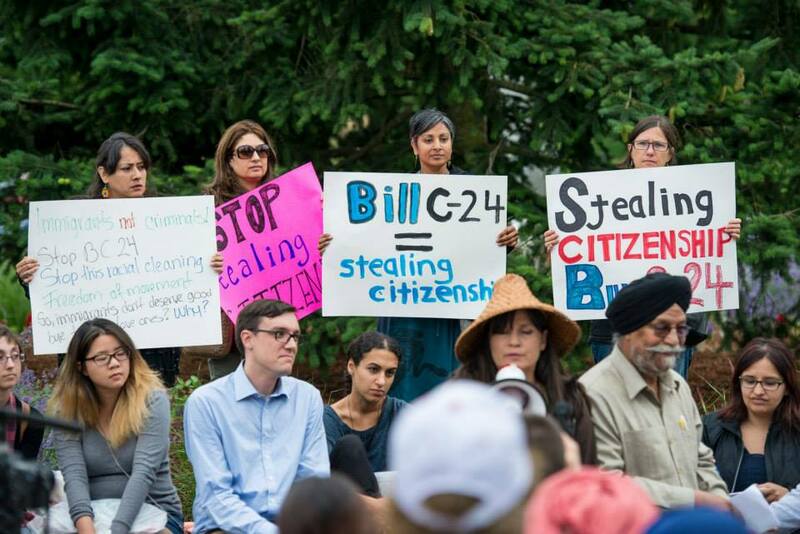 A year ago, when Bill C-24 “Strengthening Canadian Citizenship” was being discussed, a statement was issued by several groups, such as No One Is Illegal, Solidarity Across Borders, Fuerza/Puwersa and more. They renamed the bill the “Stealing Citizenship Act” in light of their criticism. Lalo, member of Fuerza/Puwersa was interviewed by CKUT member Anouk Millet. He came back on the criticism and gave more insight on the impacts of the bill on immigrants, located inside or outside Canada. 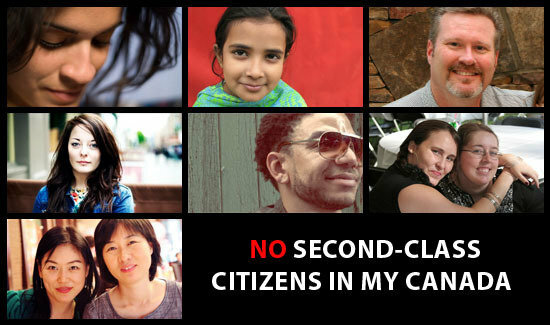 Since it passed in June 2014, Bill C-24 “Strengthening Canadian Citizenship Act” has been very controversial. Many groups have opposed the bill from the very beginning. One of them being the British Columbia Civil Liberties Associations. The organization has recently put in place a petition to stop the bill and has issued a statement in which it reaffirms its commitment to challenging this new law in the courts. CKUT member Anouk Millet talked to Josh Paterson, BCCLA’s executive director. 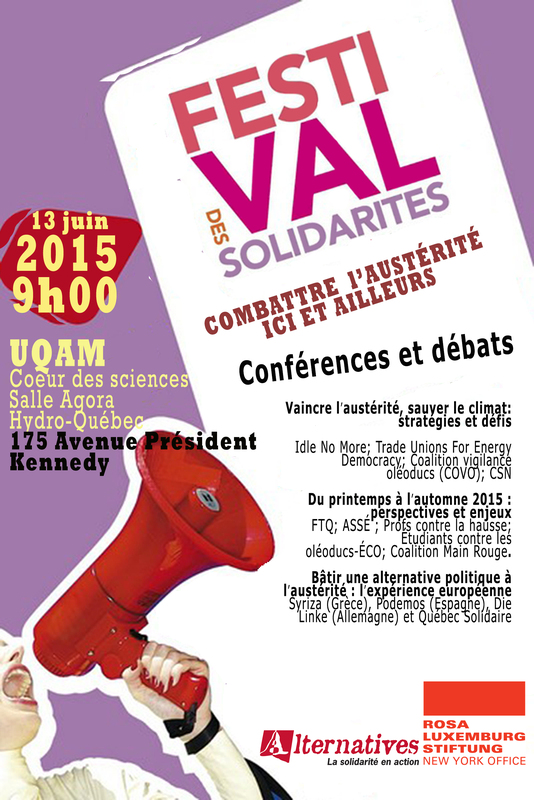 Le 13 juin prochain aura lieu la 3eme edition du Festival des Solidarités, coorganisé par Alternatives et Rosa Luxemburg Stiftung— Bureau de New York. Le thème de cette année est l’austerité, avec trois questions centrales: comment poursuivre la mobilisation à l’automne? comment intégrer les luttes environnementales à la mobilisation en cours? quelles leçons politiques tirer de la lutte européenne contre l’austérité? Anouk Millet, membre du collective d’actualités de CKUT, a discuté avec Roger Rashi, le coordinateur des campagnes chez Alternatives. Il nous parle de l’organisation du festival, de la crise politique et économique au Canada, et d’alternatives aux politiques d’austerité.